Many people go to north Wales determined to climb Snowdon, especially if it’s for the first time. Some of the more confident among you may puff out your chests and brag about tackling the mountain by its notorious ridge, Crib Goch. Good for you. Your bragging rights are well deserved. 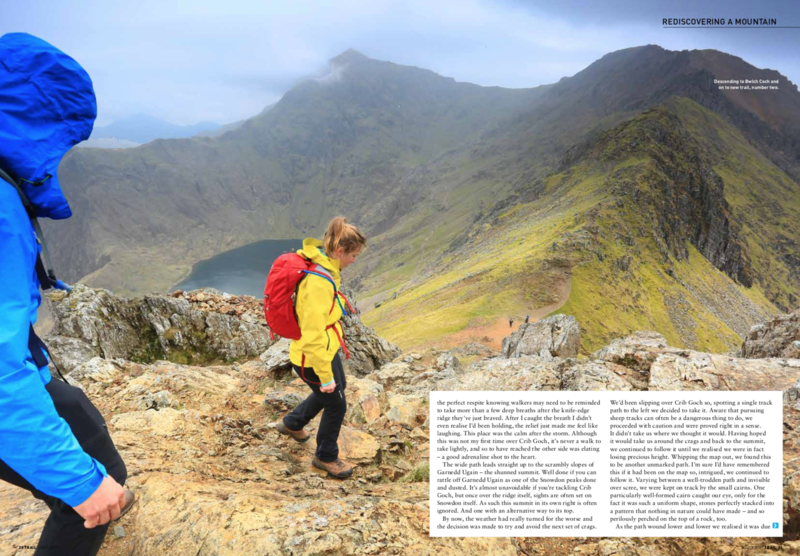 From every angle, Crib Goch looks properly mean – it’s a thoroughly tempting route. Personally, Crib Goch has long been a battleground in my mind. A mental war with myself over my capability to tackle and enjoy such an exposed scramble, combined with a strange urge to conquer it. Every time I see it, it beckons me to take it on. What I want is to stand tall, and be proud to control my fear of walking on the edge. This is all very well but the thought of teetering on that knife-edge ridge, precipitous drops either side, while being surrounded by groups of strangers, does not fill me with enthusiasm. A little crazy, you might think then, having chosen Crib Goch and Snowdon as my acrophobia test ground. Trail magazine is full of inspiration, tips and articles on where to go walking and how to get into the hills. You can find them most supermarkets, WHSmiths and news agents or online at www.LFTO.com. Plus, check out their Instagram (which I started and got going – super proud).